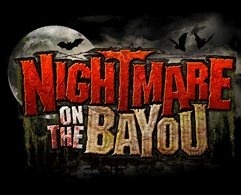 Woods of Deception Maze of Halloween House of No Mercy 3 Killer Attractions in the middle of no where! ACRES OF TERROR is Houston’s newest outdoor experience of FEAR. 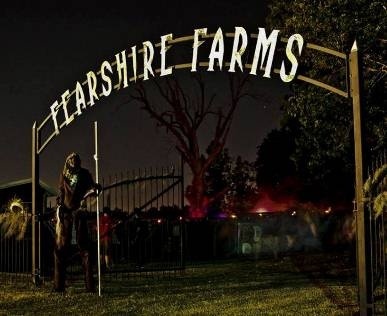 Over 6 acres of haunted woods full of creatures and morbid visions that will make your flesh crawl. Come walk these dark and haunted woods to face your worst fears as they come to life. Can you hear it? It’s beckoning you to break out of your daily routine and have a little fun. Ok, a lot of fun. We have amazing food, two fully-stocked bars, and a midway bursting with games. So grab your friends and head to Dave & Buster’s. At this classy carnival, expect rides and amusements for the entire family. The Shark Voyage is a highlight: Travel via train into an acrylic tunnel with live sharks swimming overhead. Ride the 100-foot Diving Bell Ferris wheel for an incredible view of the city, or the aquatic carousel if you'd rather be grounded. See educational exhibits of themed underwater environments like the Rainforest. Quell your hunger at the Marina Matinee cafe or Aquarium restaurant; quench your thirst at the Dive Lounge. Thinking big? The Nautilus Ballroom accommodates 450 people. Insider Tips The Extras In addition to the aquarium, there is also a tiger exhibit featuring a large viewing area for four white tigers. Know Before You Go First come, first served basis in the restaurants. Save Money Purchase tickets at the main entrance and several locations throughout the site. Rides and amusements are all priced separately. Kids under 2 get in free. FEAR Houston Haunted House, Kirby location. FEAR Houston Haunted House. NW Mall location. Haunted attractions in Angleton, TX. The stuff nightmares are made of!! 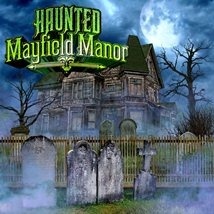 Haunted Mayfield Manor is located at 2313 Harborside Drive, Galveston, Texas 77550. Haunted Mayfield Manor is located on the Strand at 23rd Street next door to its sister attraction Pirates! Legends of the Gulf Coast. Special group rates for groups of 15 or more call for details, haunt is also available for special events. Hitting the Haunted Trails every Halloween season to make your celebrations a scream. An outdoor experience with a theme of terror! We are the largest and best haunted event in Texas. We have 10 attractions in the park that include 8 haunted houses with 6 unlimited entrance haunted houses. Houston Terror Dome located next to Spookers Halloween Super Warehouse Store. Heading East on I-10 exit #784 Cedar Lane. Heading West exit # 785 Sheldon Road and u-turn at Sheldon Road. 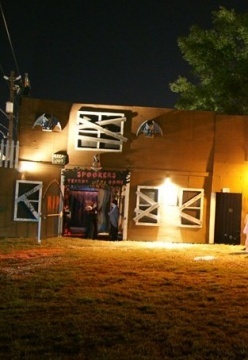 Paved parking located at Spookers Halloween Super Warehouse. It’s a small ramp park. Mostly street obstacles with a small miniramp. Halfpies,ramps, really small but still awesome! Premier haunted house located in Kingwood, TX. Affiliated w/Haunt for Hunger; a non-profit food drive organization. 5 yrs. in the making we love our community. The skatepark reopened on Saturday, March 11, 2017, after renovations. About the Jamail Skatepark The Lee and Joe Jamail Skatepark is a state-of-the-art 30,000 square foot in-ground public facility containing one of the largest cradles in the nation. The skatepark is owned and operated by the City of Houston Parks and Recreation Department. The Lee and Joe Jamail Skatepark provided the first world-class, in-ground skatepark in our region and vaulted the city to the forefront of American venues for this fast-growing, dynamic sport. Clark Condon & Associates of Houston and Grindline, Seattle-based skatepark design specialists, teamed up to create the park design. The park has areas for skaters of all levels, from the seasoned pro to the beginner. Don’t miss the displays of urban art located along “Skater Alley,” the winding walkway between Sabine Street and the skatepark entrance. The Houston Parks Board teamed-up with the Orange Show Center for Visionary Art to coordinate the display of five large panels showcasing urban art created by local aerosol artists. In 2004, P.U.S.H. (Public Use Skatepark Houston) approached the Houston Parks and Recreation Department with a request for a skatepark. The department working with PUSH and the Buffalo Bayou Partnership identified and designated an area within Buffalo Bayou Park for the proposed skatepark. To assist with this effort the Houston Parks and Recreation Department enlisted the Houston Parks Board to work with PUSH in their fundraising effort. A $1.5 million donation from the late trial lawyer Joseph Jamail made the project possible. The construction of the Lee & Joe Jamail Skatepark was managed for the Houston Parks and Recreation Department by the Houston Parks Board. 1986 – HOPE THERAPY: Site secured by The Moody Foundation to establish a hippotherapy program. 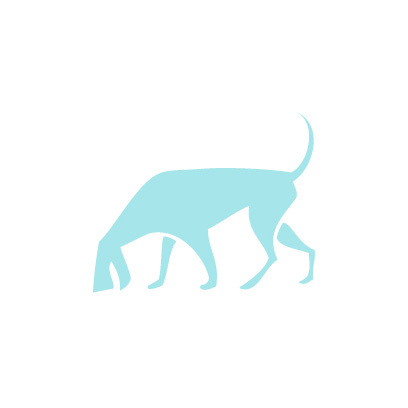 Later expanded to include animal and horticultural therapy, education and employment for persons with physical and emotional disabilities. 1986 – CONVENTION CENTER: Originally opened as Hope Arena. Expanded to 60,000 square feet to accommodate trade shows, conventions and events. Now named the Moody Gardens® Convention Center. 1988 – PALM BEACH: Tons of white Florida sand were barged in across the Gulf of Mexico to create this exotic family beach. 1988 – THE LEARNING PLACE: Originally opened as Seaside Safari. Now the home of our educational programs. 1990 – PRODUCTION AREA: Includes two greenhouses used to propagate most of the plants seen on our grounds and for our Medicinal Plant Program. Our Water Treatment Plant takes effluent from Galveston’s water treatment facility and treats and polishes it for use on all exterior landscaping. 1993 – RAINFOREST PYRAMID® AND IMAX® 3D THEATER COMPLEX: More than 1,700 exotic plant and animal species from the rainforests of Asia, the tropical Americas and Africa are featured in the Rainforest. The Visitor Center houses the Garden Restaurant and Dancing Waters light and fountain show. America’s first IMAX® 3D Theater showcases films by some of the world’s top filmakers. 1997 – DISCOVERY PYRAMID: Moody Gardens®’ second grand pyramid. Debuted with NASA – inspired exhibits, and now features traveling and other science exhibits. Also home to the Ridefilm Theater, offering a thrilling motion simulation experience. 1999 – HOTEL: The new 303-room Moody Gardens® Hotel, which opened January 1999, offers all the conveniences and features of a big-city meeting destination nestled among breathtaking gardens and majestic pyramids. Flexible spaces to accommodate any group size, a 15,000 square foot ballroom, elegant and casual dining, spa, exotic pool and swim-up bar, and a host of services make the Moody Gardens® Hotel the ideal meeting and vacation destination. Located next to the existing conference center, the hotel will further compliment Galveston Island’s ability to serve Texas’ growing convention market. 1999 – THE AQUARIUM AT MOODY GARDENS®: The giant, 1.5 million-gallon Aquarium Pyramid®, offering a splashy tribute to the North Pacific, Caribbean, Tropical Pacific and South Atlantic Oceans, opened in the summer of 1999. As one of the largest aquariums in the world, the facility features close-up views of penguins, sharks, seals, seahorses, moray eels and much more. 2004 – Hotel and Convention Center Expansion: Moody Gardens recently completed an expansion project that provided an additional 125-room wing to the hotel and expanding the Exhibit Hall to 60,000 square feet. This flexible meeting space is available for events ranging from trade shows and concerts to large gala dinners. A driver’s track where the racer and the motorsports enthusiast can come to experience the excitement of driving in a controlled environment. A Seasonal Haunted House adjacent to Party Boy on Studemont. Palace Lanes has been proudly serving the Houston bowling community for nearly 50 years. The 44 lane state of the art center has become a Houston landmark. We are proud to have been awarded “best in town” by The Houston Chronicle and The Houston Press.Palace Lanes offers fully automated scoring, bumper bowling for children on every lane, an award winning snack bar, and a full service cocktail lounge for your enjoyment. Recent renovations have given us a brand new look and we are excited for you to stop in and let us know what you think.We offer a wide variety of league bowling options, including ladies, men’s, senior citizens, youth, and companies. We also have ample times for non-league bowling, so whatever your ability level, you are always welcome. Phobia Haunted Houses, operating since 1996, has earned the reputation as the scariest, most high-tech thrill in Houston. Phobia operates EIGHT separate haunted attractions at One killer location: 18777 Hwy 290 – Exit West Rd between Beltway 8 and FM 1960. 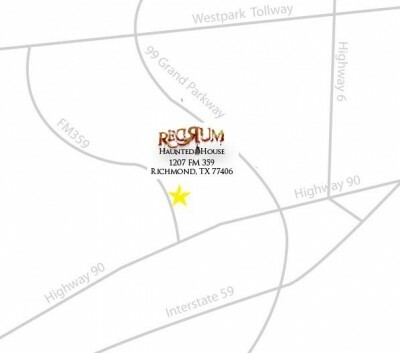 NEW LOCATION: 5250 S SAM HOUSTON PARKWAY E (BW-8 between 288 & I-45 South). Ladies and Gentlemen, Boys and Girls. Redrum presents the most adrenaline pumping, death defying, demented show on earth! Come inside and see what we have in store for you! With two attractions for the price of one, it will feel like never ending fun! Fun for the Carnies and Clowns that is!